"I am not buying any more plants until I've planted the ones I've already purchased." "Oh, that's a great plant that I've never seen, but I am too far from home to buy it here. I'll wait and look for it closer to home." "I don't think I'll buy any new plants this year." A gardener would never say any of those statements. But if they did say one of them, because they were tired, or out of their mind, or their body had been invaded by space aliens, it would only be true for about five seconds. 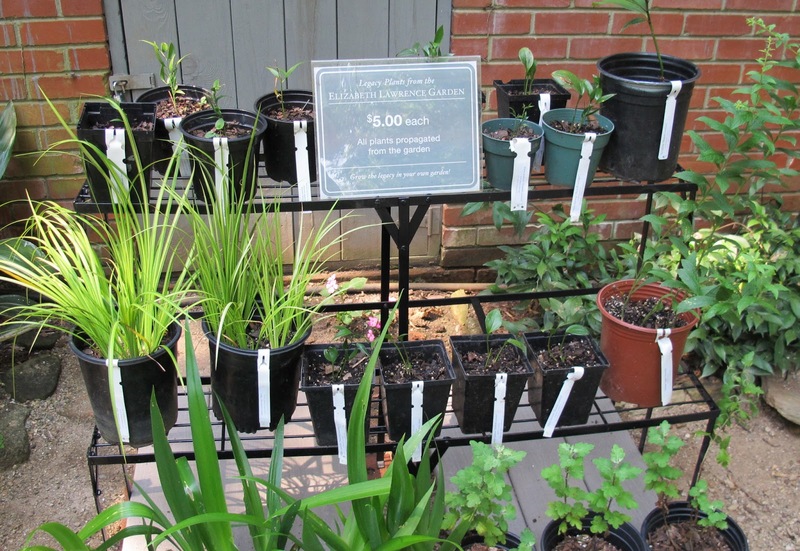 A gardener's resolve to not buy any plants would melt like butter in the hot sun at the the first sign of a plant that waved a leaf at her (or him) when they walked by it at the nursery. That resolve would be swept away like dust in a hurricane at the first glance at the rows and rows of new plants at the garden center or even the big box store. A gardener's resolve to not buy plants would be wiped from their mind as if they were hypnotized the minute they spied a plant that was interesting, perceived to be better than what they had, had just the bloom color they were looking for, had a great scent, had great leaf color, or they thought for one second that another gardener was standing there and going to buy it first. Well, you're right. I did not say "I am not buying any more plants until I've planted the ones I've already purchased." 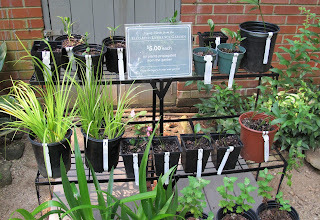 But I did say, last week, "If I buy these plants I have to go right home and plant the plants I bought at this same sale one year ago." So I bought, and I planted. I know I'd never utter any of these comments!! Buying flowers and plants is in my blood, I can't help myself! You are dead right, but their husband might. I said I wasn't going to get any mail-order plants so I don't understand why three rose bushes and a bunch of perennials are on their way via UPS. I was only going to go to local plant sales, but . . . In the past several years, I have gotten better at promptly planting what I buy because it does pain and shame me to see a plant wither and languish in its pot. This is the truest thing I've seen written in a long time. I do say that I won't buy any more of a particular genus or won't buy any more for a certain amount of time, but it was in an odd moment of reason that fades the second I see "that plant." The one I've been causally keeping an eye out for always seems to become available after I've made some silly resolution, so it's crazy to bother making them. I laughed out loud when I read this one. It's so me! We moved to our house two year ago this month, and I still haven't planted all the plants that moved with us. Whenever I go to the garden center (for potting soil, mind you), I always promise myself that I will not buy anything. It, of course, never works.